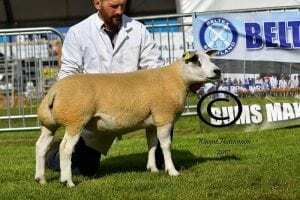 1st Shearling Tup – A Baillie. 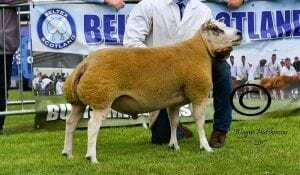 2nd Ram Lamb & Reserve Male Champion – RE Wood. 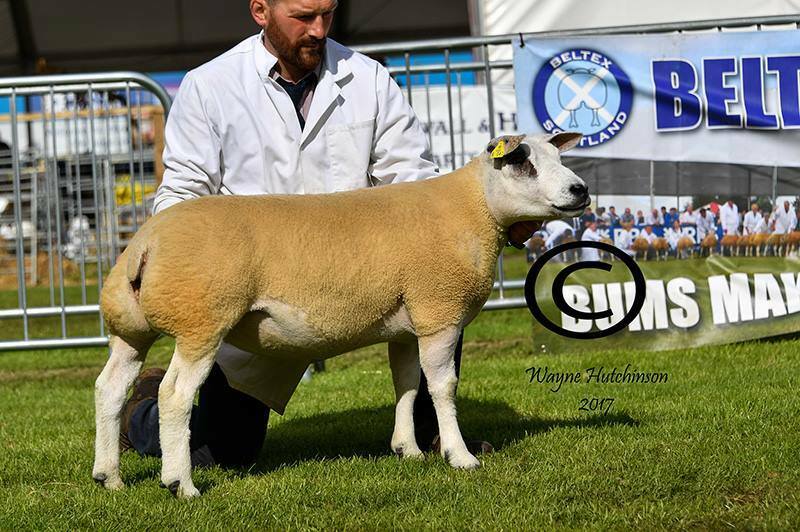 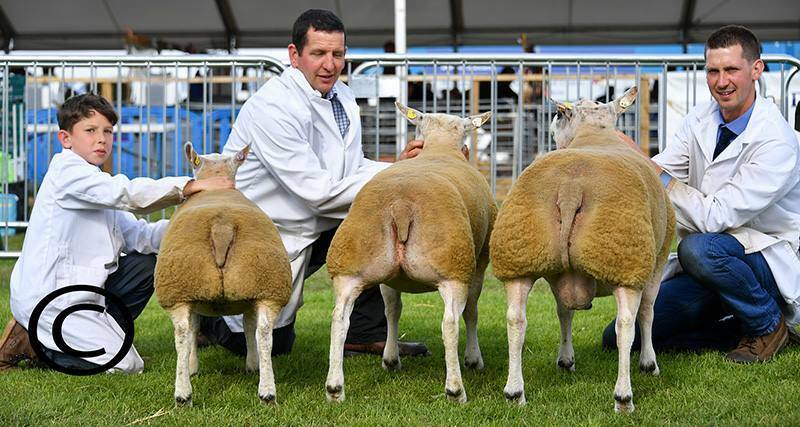 Friday 23rd June 2017 saw Elizabeth McAllister from the well known Artnagullion Flock in Ireland took centre stage at The Royal Highland Show, Ingliston, Edinburgh to judge the Beltex section, which once again was by far the largest breed section at the show. 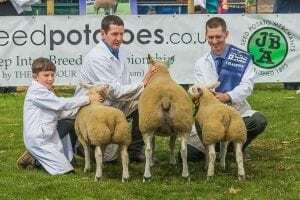 Leading the way again and taking the overall championship for the third year in a row was Richard & John Wood, Kingledores, Broughton owners of the Kingledores flock. 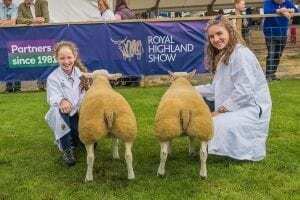 Their overall champion this year was the first prize gimmer and overall female champion Kingledores Betty Boo sired by Clary Ablaze out of Kingledores Starlight a previous scottish national show champion. Standing reserve overall this year and making their debut at The Royal Highland Show was the winner of the tup Lamb class from Christine Williams & Paul Tippets who made the long journey from Lodge Hill Farm, Shifnall, Shropshire. 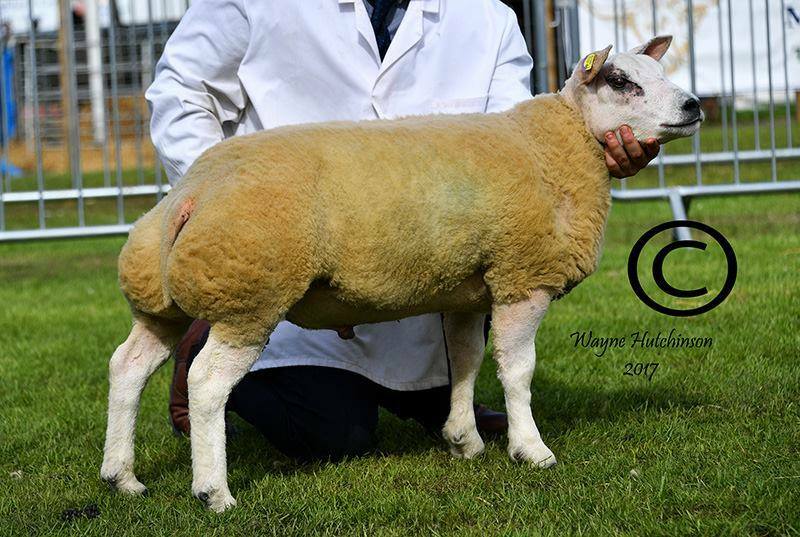 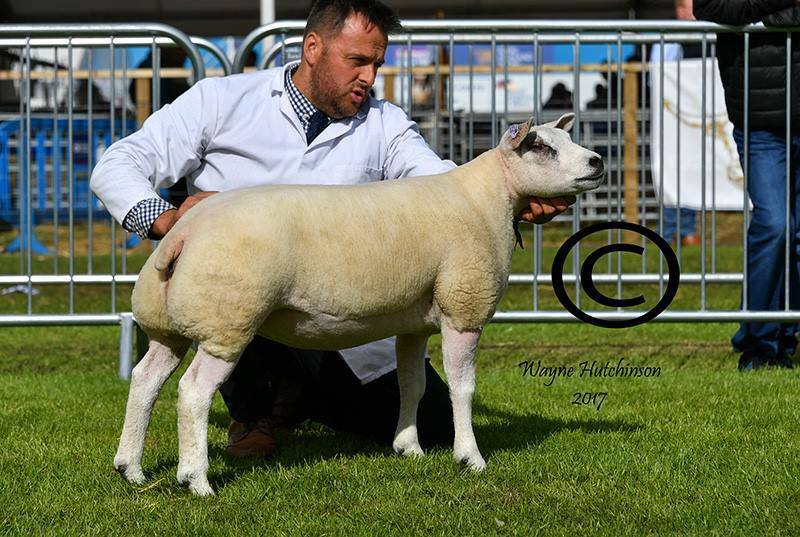 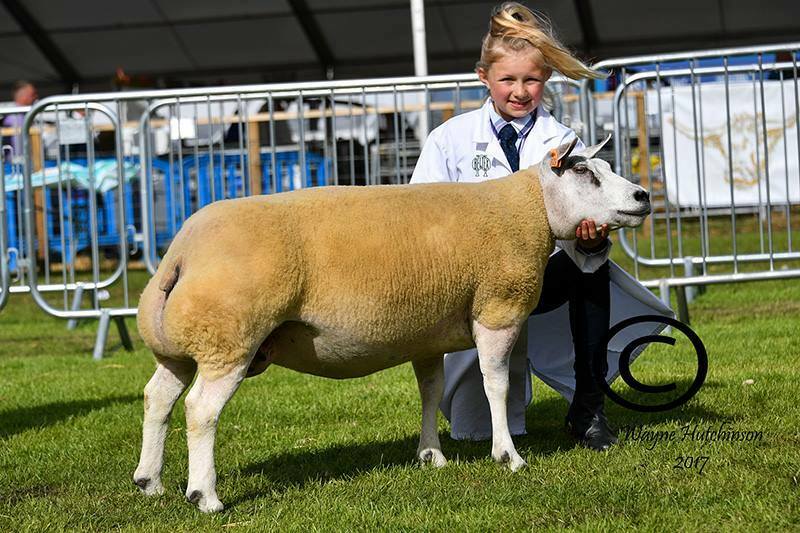 Their leader was sired by the breed record priced ram Topflite Al Pacino bred by Grant and Gemma Anderson which they purchased from Carlisle in 2016 for 60,000gns out of a homebred ewe by an imported Ram. Reserve female champion this year went to the winner of the ewe class from Proctors Farm, Sladeburn, Lancs and shown by 10 year old Katy Aitken. 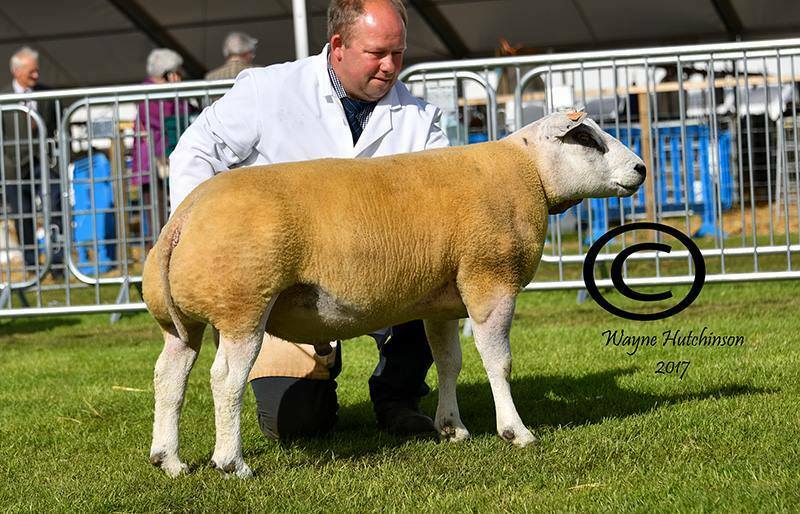 This followed on from winning the reserve overall last year with their gimmer, Proctors also won the aged ram class. 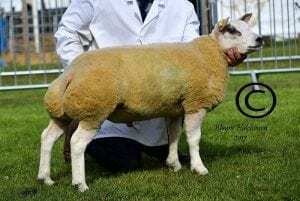 Reserve male champion went to the second prize tup lamb Kingledores Captian which was second to the reserve overall champion from the Wilodge flock, this was from Richard & John Wood, Kingledores, Broughton. 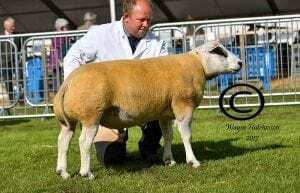 Stuart Wood took the strongly contested ewe lamb class with a lamb sired by a Glenkeen tup and out of an imported ewe. 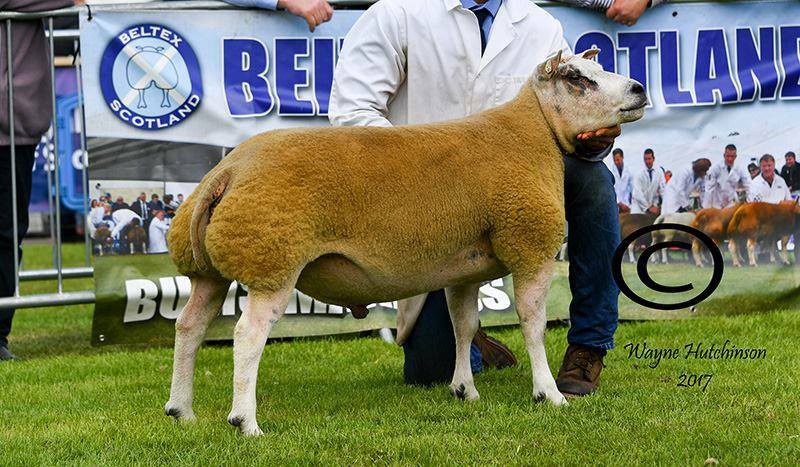 Andrew Baillie won the impressive shearling ram class with a tup by a Quarrymount sire and out of a homebred ewe. The Callacrag Flock also took the best group of three prize. 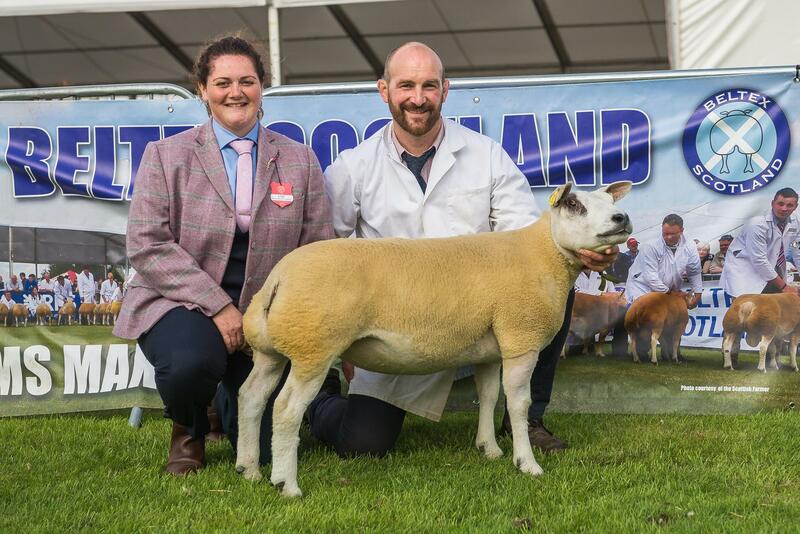 Andrew Baillie also showcased the commercial qualities of the Beltex breed winning overall commercial championship with a Millennium Blue ewe and a pair of Beltex sired lambs and winning a strongly contested butchers lamb championship with a pair of Beltex x lambs.